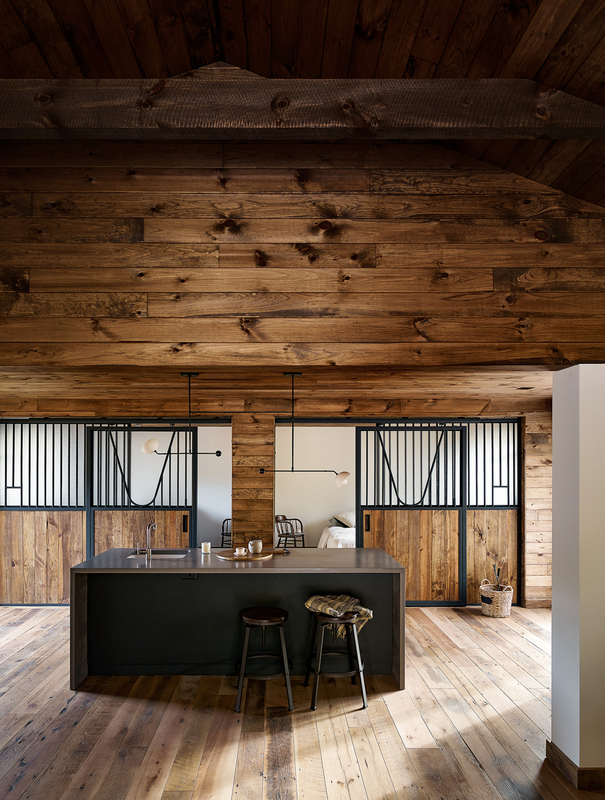 GA reimagined an old horse barn, rebuilding it to become a one of a kind guest house. Wood cladding throughout creates a warm atmosphere, while clean white walls cut through the space to keep things light and create a unifying band of contrast. We used patterned concrete tile throughout to separate and define key areas. The wood burning stove is surrounded by terracotta colored concrete tile of our own custom design, while the bedrooms are defined by high contrast black and white tile and kept cozy with in-ground heating. 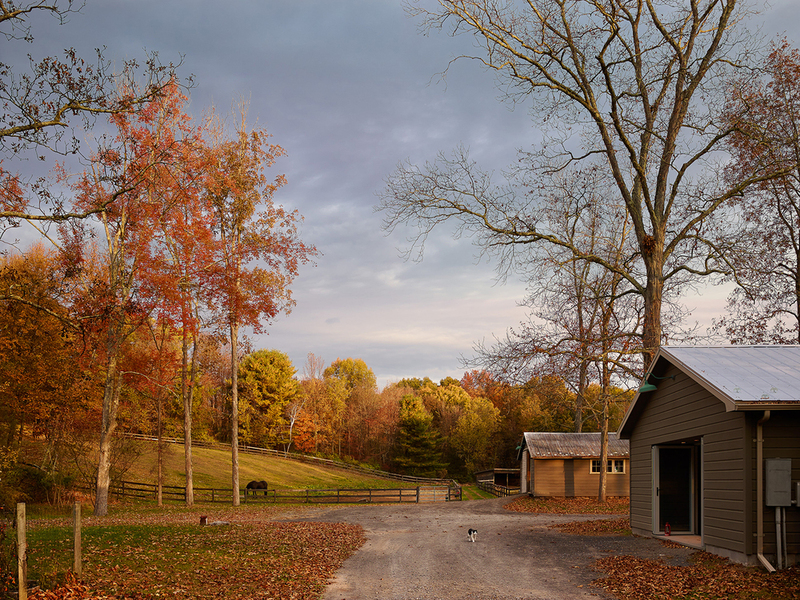 Finally, we opened up the front of the barn by tearing out the facade and replacing it with a twelve and a half foot wide Nanawall door, connecting the landscape to the warm interior.